CommentLuv is an RSS blog comment system that fetches the link of your latest post and adds it below a text comment. This has potential for marketing your website. Assuming your comment is approved by the site owner, your link will be permanently displayed as a footnote of sorts. A CommentLuv link does not change when you update your blog; that particular post title will forever be associated with the comment you entered even when your blog feed is updated with new content. CommentLuv is popular because readers are incentivised to engage and leave comments and get a link back to their blog. The spam issue is obviously something that cannot be ignored. I recently published a post on book keeping and expenses. I searched Google for other blog articles that were using CommentLuv focussed on the same topic. I knew by doing this I would have the opportunity to add my genuine views as well as leaving the automatic backlink to my own related article. 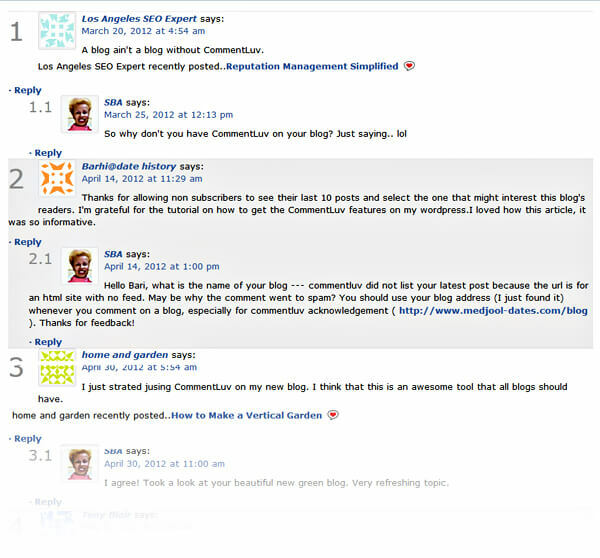 To see results with the CommentLuv method, it’s a case of repeatedly commenting on high ranking relevant blog posts that are using the CommentLuv system. You may see no immediate gain which is why it is best to target sites with whom you envisage long term benefits. Leave great, useful, problem solving comments. Add value. If you’re commenting on blogs, but plan on publishing a different article the following day, you only have until then to comment on blog posts relevant to whatever post is currently live on your blog. The existing post remains fresh in your RSS feed and it is this post that will be aggregated to the CommentLuv system when your comment is published. Remember, when you submit your blog comment, CommentLuv records your RSS feed link as a moment in time. If you look back at a specific article on which you made a contribution 6 months down the line, you’ll notice nothing has changed with your link. It will forever remain relevant to the subject of the discussion. I often read popular articles and read hundreds of great contributions from other blog authors but their CommentLuv link is wildly off topic and is unlikely to solicit casual interest. If I just read a blog article about business invoicing, will someone’s backlink about TV repair in Atlanta pique my interest? No. Once you have made a certain number of comments on a site, you will unlock the ability to display any of your last ten posts. Think about getting CommentLuv on your own site or blog and the chances are the activity and reader interest will increase. Google likes genuine engagement and Matt Cutts has stated the algorithm updates are taking cues from “social signals”. 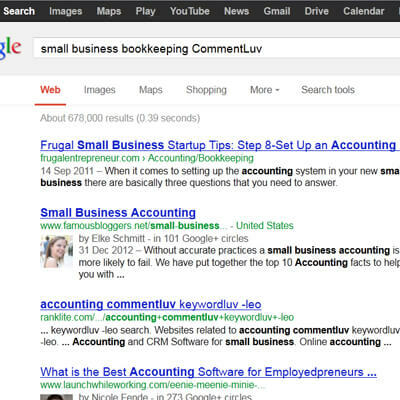 In other words, get real people saying real things on your site and Google will reward you in the search rankings. You should ALWAYS set outbound links to No Follow on blog comments. This can be done easily within CommentLuv. Do not indicate to Google you endorse the site that has left a comment. By adding the rel=”nofollow” attribute to all CommentLuv links, you minimise passing the flow of PageRank to these other sites. Hit and run tactics will not work and serve only to frustrate the blog/site owner. One liner comments are transparently obvious as a self serving, selfish and bare minimum effort to fulfill the basic criteria of the required fields and deploy backlinks. Often these comments are automatically generated by spam bots and show up as gibberish or broken English. 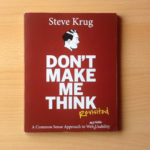 Relevant and thoughtful remarks submitted through a website or blog’s comment system are a thousand times more likely to be approved by the webmaster and viewed by readers – real people who might click through to your site. If you’ve written an authoritative article, think of your commenting activity as an extension of your perspective and writing ability. The best blog commentators understand the importance of gaining the trust and respect of those who actively participate in blogging communities. Sometimes, it is better to make yourself noticed on the blog owner’s radar first and without dropping links. To be endlessly self serving will only hurt your long term reputation among the already established influencers of a community. If you wish to promote your content in the long term, it will involve a little restraint while you build affinity. When commenting on a blog post for the first time, think about leaving your links completely out of the equation. 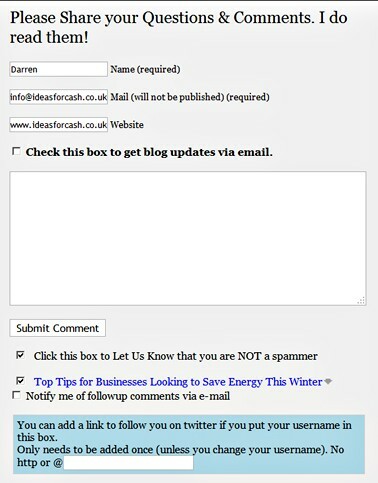 Build up a rapport with the blog owner and engage with them by email or their forum if they have one. Reply to other readers comments and try to help them resolve issues or questions. Actually READ the blog post you’re commenting on! Before reading a blog post, check CommentLuv is enabled and accepting new contributions. Use CommentLuv wisely. Your latest blog post will be displayed so choose what you comment on carefully. Copy and paste long comments to the clip board/notepad. Having a timeout error or incorrect Captcha can wipe out your lovingly crafted contribution. CTRL & A followed by CTRL & C does it for me. Some blog owners can choose to allow you to display any one of your last 10 posts. Assume this as the exception and not the rule. Register your email with Gravatar. A small image appears next to each comment you make. I was looking around trying to understand how should I get more sites to link to my website. So it’s kind of hard for us to find relevant back links from other websites since not each of these students would have a website of some sorts. We are generating good content on Project Management topics. But again these are just sources of knowledge. So unless we have some partnerships going with some knowledge providers it’s going to be really hard to get valuable back links. Have you used social media to build relationships with people? I mean actually speaking with people in the same industry or in the same niche on a regular basis? You’ll increase your odds of getting links if you have allies who know, like and trust you. Blog comments are almost always “nofollow”. The upside is that they can give passive referral traffic. I once got called by BBC Radio 4 wanting to interview me over the phone on a topic I’d commented upon on someone’s blog. It was a long, detailed comment and I had strong views on it. After publishing the comment I thought no more about it yet Radio 4 wanted to record me talking about it over the phone. It just goes to show good things can happen as a result of earnestly made blog comments. I really enjoyed the content you have put on here. It is truly a great help for all those beginners and experienced developers out there. I think a good content a key to get more visitor to our website. To get relevant back links to our website is very important for the marketing of business. I think use of Commentluv can give a boost and get a number of clients to visit our site. Thanks and keep sharing more information with us.. Some good tips here. Commenting really is an art and a science. Thanks for the hints and tips on comment Love and i will defo put your advice into action. Such an informative and helpful post though. I was wondering how any one gets 1000 of 1000 links on their website. I got the tips and will defiantly use all in action. Love your post. Thumbs up for sharing such an informative post. I thought most people use this plugin just to get links but the point mentioned about genuine engagement is quite good, will try to use this and see how it works out. The links will almost certainly be nofollow. There will be no search engine value but as you say, genuine engagement. If you make a good, useful, relevant comment, and you also happen to be displaying a good, useful, relevant link, there is a possibility of gaining referral traffic to your site. I once left a blog comment on a website about tax legislation in the UK, and a couple of years later I received a call from BBC Radio 4. Awesome. Thank you for taking the time to publish this information about commentluv. The post is not only informative for the fresher minds in the field, it is a lesson well revised for the experienced readers too. This is very informative post, Thanks for sharing! Thanks for sharing a wonderful article and i got very interesting by reading it. thanks for sharing these usefull tips on commentluv i was searching to similar kind of post and got it here. Thanks for sharing such a wonderful list. I really loved the tips you shared. Nice Post. I appreciate it. One of the best Guide on Commentluv. Thanks, mate for writing this amazing content. Hello Darren! I also use commentluv but it gets tons of spam comments. But I guess I’ll just have to patiently sort them off. As a Starting Blogger, I found the article so much informative and helpful, Thanks. Thank you once again for your love and willingness to share your feelings. I really like the blog.I have shared your site with many friends and family. It is always a pleasure to read. it is really very useful information for as a starting blogger, and posting the article relevant to the to the topic. You have discussed amazing points about Business. It will be very useful for the readers. I will keep on reading the latest information. Its really amazing post. Thanks for sharing. This post is absolutely true by reading this article. I feel very happy. This is now my favorite one. Keep sharing more this type of informative article. I will try to reach you every day if you will write articles like this. Very much detailed article to help out the newbies to build links back to their site using this Commentluv. Thanks for sharing this great article. You covered everything what I exactly looking for. Thank you very much for sharing this beautiful listing. Thanks for the work you put into this article. I have recently added Comment Luv premium to my website and I absolutely love it. It encourages commenting and it helps me give something back to those who visit my blog. Great post! CommentLuv is still an effective way to acquire quality backlinks. Find out blogs that completely fall under your niche and have a quality content. Thanks for sharing a wonderful article and I got very interesting by reading it. Keep blogging. Commentluv is surely getting very popular these days.Thanks a bundle for article. As a Starting Blogger, I found the article so much Helpful, Thanks for sharing your article! Most valuable and fantastic blog I really appreciate your work which you have done about the business,many thanks and keep it up.